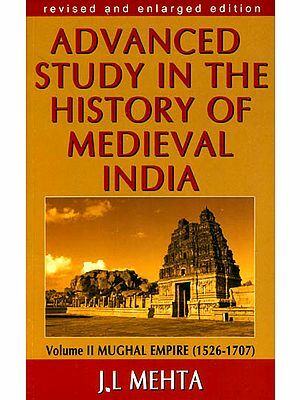 Books > History > Medieval > History Of Medieval India "Sultanate Period And Mughal Period"
This book is useful for BA, MA students of History of all Indian Universities and other competitive examinations like PCS and IAS. 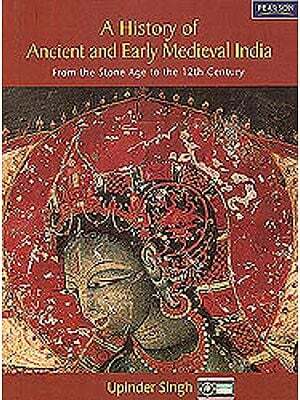 This book covers Social, Religious, Economics Conditions and Policies in Early Medieval India. In this edition in Part-I a new chapter no.1. ‘Sources of information for Medieval India’ and in Part-II chapter no. 10 “History of Mughal Period” (till 1761) have been incorpated. Modified Maps have been inserted at appropriate places. Exercises in the form of Long Answers Type Questions, Short Answers Type Questions and Multiple Choice Type Questions have been added at the end of the each chapter. Four Appendices have also been added and those are “ Appendix A on Todar Mal, “Appendix B on Mir Jumla”, “Appendix C on Ideals of Mughal Government and” Appendix D on Causes of the Rise of the Maratha Empire. V.D Mahajan, a Great Historian, had given uncountable contribution in Indian History. Author of Ancient India, The Delhi Sultanate, Mughal Rule in India, Modern Indian History, History of Modern India (1919-1982), Vols. I & II, History of India up to 1526, Advanced History of India, History of Modern Europe Since 1789, History of Great Britain, England Since 1485, England Since 1688, Constitutional History of India, International Relations Since 1900, etc. 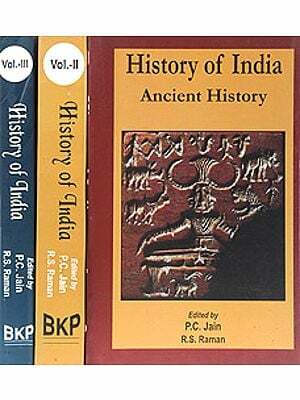 We feel satisfied in presenting the Eleventh Revised and Enlarged Edition of the “History of Medieval India”. The favourable and warm reception which the previous editions and reprints of this book enjoyed all over India, is a matter of great satisfaction for us. In this edition in Part-I a New Chapter No. 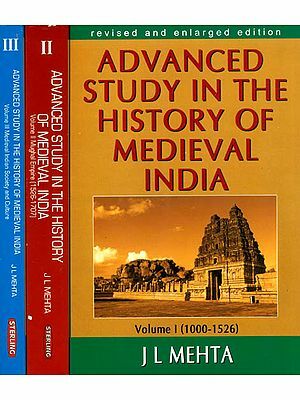 1 ‘Sources of Information for Medieval India’ and in Part-II chapter no. 10 “History of Mughal Period” (till 1761) have been incorporated. Almost all the topics have been thoroughly gone through, presented lucidly. Many topics of this book have been re-written and restructured. Error which have have come to our notice have been rectified. Modified maps have been inserted at appropriate places. Exercises in the form of Long Answers type Questions, Short Answers type Questions and Multiple Choice type Questions have been added at the end of each chapter. It is our earnest hope that the students and teachers will find the new, revised and enlarged edition more useful. Finally, a request to the discernible readers to do a great favour, by sending their valuable suggestions and critical comments on the book for its improvement in subsequent edition. I have great pleasure in placing the new edition of the book in the hands of the readers. In this edition, I have completely re-written four Chapters viz., Social, Religious and Economic Condition in Early Medieval India, The Bhakti Movement, Sufism in India and Disintegration of the Mughal Empire. I have added three completely new Chapters viz., Religious Policy of the Mughals, Deccan Policy of the Mughals and Society and Culture in the 18th Century. The Chapter on “Disintegration of the Mughal Empire” has been completely re-written. Previously, its title was “Later Mughals” and now it has been changed to “Disintegration of the Mughal Empire”. Four Appendices have also been added and those are Appendix A on Todar Mal, Appendix B on Mir Jumla, Appendix C on Ideals of Mughal Government and Appendix D on Causes of the Rise of the Maratha Empire. I have no doubt that additions made in this edition will add to the utility of the book. I am glad to find that the study of the history of India is receiving more and more attention at the hands of researchers, teachers and students. It is very necessary that we, in this country, must know why we failed in the past and how we won our freedom in 1947. We lost our freedom on account of our lack of unity and mutual cooperation. Our social system made us weak. We were not progressive in our outlook and ignored the happenings in the world and did not keep ourselves up-to-date in the political and military fields. We wasted our energy and resources in mutual quarrels and internecine wars. It is our patriotic duty to do everything in our power to avoid those pitfalls and make India a great and prosperous country. All this requires very hard work and unity among the people of this country. I take this opportunity of thanking all those who have patronised the book in the past. It is hoped that they will continue to do so in the future. All suggestions for improvement will e gratefully acknowledged. i am from Pakistan so i want to purchase this book so please tell me how i can do this??? ?